COMMUTERS TAKE NOTICE ~ Leave the car at home! Just steps to the bus stop or a short trek to Oak Grove, this inviting bungalow is low on maintenance and high on efficiency with vinyl siding, newer roof (10/15), year old water heater, replacement windows and gas heating. The interior features a flexible floor plan with natural woodwork, hardwood flooring, built in china hutch and cedar lined closets! The first floor welcomes you with an enclosed front entry, living room, formal dining room, freshly painted kitchen with new flooring and back door, two bedrooms and full bath. The 2nd floor offers a half bath and 2 additional rooms, freshly painted and ready for you to decide their use: bedrooms, play space, music room, exercise room ~ the options are endless! The backyard lends itself to entertaining or relaxing after a long day's work. 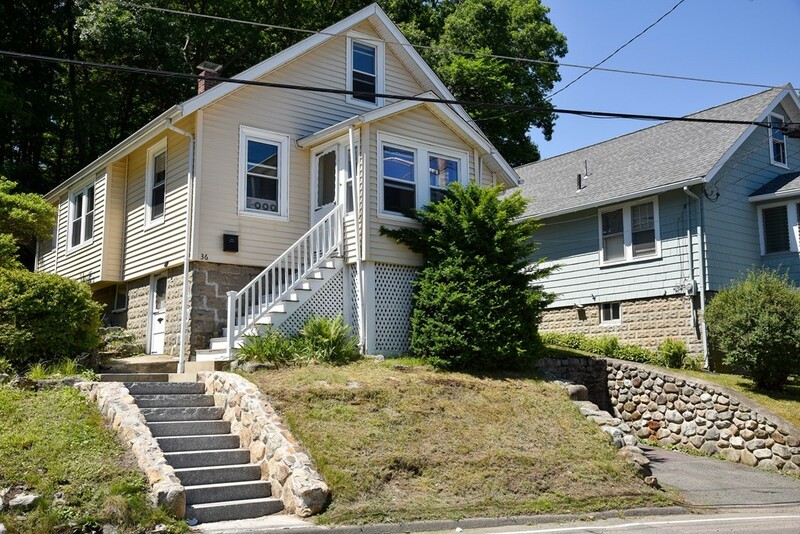 If you've been looking to get into Melrose at a great value, this is the home! Condo seekers: Don't rule this one out!